Growing a beautiful garden is extremely rewarding. Lush green leaves and beautiful flowers leave you anticipating a large harvest. But what if, out of all the flowers your plants produce, you only harvest a few fruit? The problem may be a lack of pollinators. 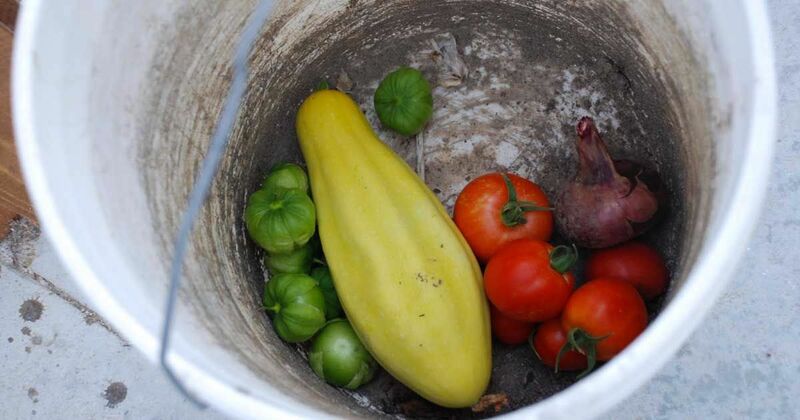 No matter how healthy your garden is, without pollinators, you may end up with a measly harvest. 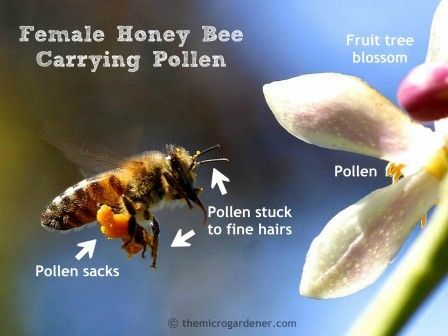 Pollination refers to the transfer of pollen from the male part of a flower (anther) to the female part of a flower (stigma), which results in fertilization and the potential for a fruit to develop. Pollinators can include bats, birds, and even mammals. But, as far as your edible garden is concerned, the focus should be on insects, namely bees. According to Mother Earth News, there are 4,000 native bee species in North America. Attracting a variety of native bees greatly increases your chances for healthy, abundant fruit. For instance, native squash bees are the best pollinators for pumpkins, resulting in larger fruit. Also, strawberries are better shaped when visited by several different types of bees. Bees are critical pollinators, not just in your backyard, but across all of agriculture. Attracting native bees to your yard will not only benefit your garden, but it will strengthen the native bee population in general and benefit other gardens and farms in the vicinity. Montana State University Extension lists the following common flowering edibles as self-pollinated or wind-pollinated: sweet corn, green beans, string beans, snap beans, lima beans, snap or shell peas, and grapes. These flowering plants, along with some others, don't require the help of pollinators to produce fruit. Still, according to Eartheasy, 90% of flowering plants do rely on pollinators. This includes edibles such as most cucurbits, berries, melons, apples, plums, peaches, and pears. Additionally, some flowering edibles, like tomatoes, eggplants, and peppers, are technically self-fertile, but still benefit greatly from what Montana State University Extension refers to as 'buzz pollination,' during which pollen is released by the vibrations of buzzing bees. - Avoid insecticides: Insecticides are effective at what they do for sure. But they can't tell between a good insect and a bad one. Therefore, if you find yourself relying on insecticides, you may be killing off beneficial pollinators as well. - Plant a variety of natives, and plant in multiples. Eartheasy cites native bees as being four times more attracted to native plants over exotic ones. They also suggest grouping plants of the same species, instead of planting individual plants here and there. Choosing flowers with different shapes, sizes, and colors will also attract a larger variety of pollinators, as different insects pollinate different flowers. For instance, according to Montana State University Extension, 'buzz pollination,' as talked about above, can only be achieved by solitary bees and bumble bees. Honey bees do not perform this behavior. So attracting a variety of bee species to your garden is extremely important. Pollinator Partnership offers a comprehensive website, searchable by zip code, dedicated to identifying native plants that attract beneficial pollinators specific to your growing region. Your best bet is to incorporate native plants right into your vegetable gardens, or in very close proximity. Native spring bloomers give pollinators a chance to find your garden before the growing season. Establishing a population of pollinators early in the season is a definite advantage. - Provide pollinators with opportunities for shelter. It's one thing to attract bees to your garden, but to invite them to live there? That can be a little intimidating. But, Mother Earth News says that most native bees don't even live in colonies; they usually live alone in the ground. And, if a long flight is required, chances are a variety of bees won't make it to your garden. So look into what it might look like to give bees both food and shelter in your area. If you suspect you aren't attracting enough pollinators to your garden, check into pollinating your plants by hand. If the season is coming to a close and you're desperate for some fruit, this may be the answer for you! For example, sometimes manually shaking the flowers of tomatoes and eggplants is enough to release pollen. In addition, squash, which has large flowers, some male and some female, are easily hand-pollinated. Pollinating your plants by hand is definitely worth a try!